The small holding was started in 1985 as, at the time, a logical progression from my professional study of animal bones from archaeological sites. I hoped the live animals would facilitate my understanding of livestock farming in the past. 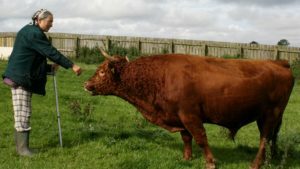 The farm animals now help the public to understand how dependent our ancestors were on the products of their livestock: traction, dairy products, leather, horn, bone, wool, fertiliser, hair, meat. Many of the animals are extremely friendly, halter trained and happy to be hand fed by the public. 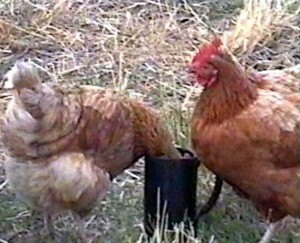 However farm animals are not pets and surplus males are eaten. Was shown and placed in “Any Other Native Breed” classes at Wensleydale, Stanhope and Eggleston shows. Full sister Zanfara Mica, born Feb 2019, will be for sale autumn 2019. There is a growing interest in the health benefits of grass-fed, rather than cereal-fed, beef. 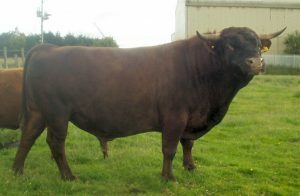 Further details can be found on www.dexterbeefonline.co.uk. The Zanfara herd was started in 1986 and now averages 10 head. 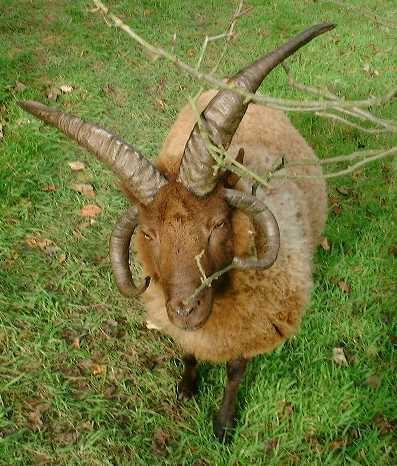 All homebred animals are horned, this is necessary for the historical use of the animals. 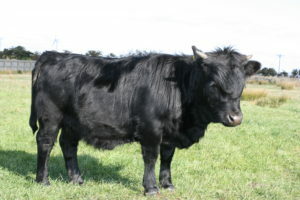 The Dexter breed is the closest modern equivalent in size to archaeological specimens from the late Iron Age to early Post-Medieval periods. 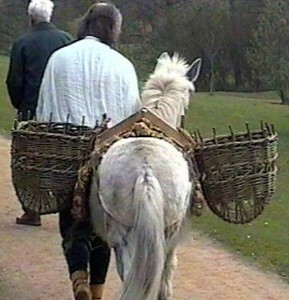 A pair of oxen were kept, who had been broken to the yoke, sadly we no longer have these. 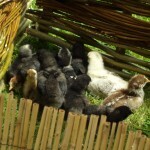 Both the short legged and non short legged types are kept and all three colour variants: black, red and dark dun. Delivery and collection at cost, to be paid for at the time. Has had basic halter training. Third prize at Stokesley show 2017 at 3 weeks old. This breed is part of the Northern Short Tailed group, which was the standard type of sheep kept in northern England into the early Post Medieval period, and in Scotland until the eighteenth century. This variant survived on the Isle of Man. 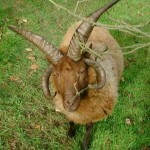 The term Loaghtan describes the bracken brown colour of the wool. The Zanfara flock was established in 1985 and now averages 40 ewes. 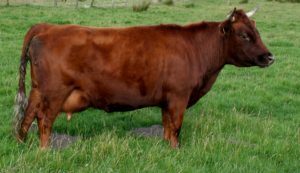 The breeding emphasis is on the four horned character and the associated polled variant. Occasional skulls of multi horned sheep are found on archaeological sites from the Roman period onwards. It is unlikely that any historical flock was predominantly four horned. For public display the four horned sheep, particularly the rams, are eye catching. Wool from the flock has been made into our period costumes and is used for demonstrations of textile crafts, especially drop spindle spinning. Fleece is available annually. Stock are normally available for sale and rams may be hired. Manx Loaghtan and Hebridean 2018 clip fleeces suitable for hand spinning will be available soon and there are still some 2017 clip fleeces. Sample bags of raw and hand carded fleece, £1/bag 100gm raw fleece or 5 carded rolags (+P&P). 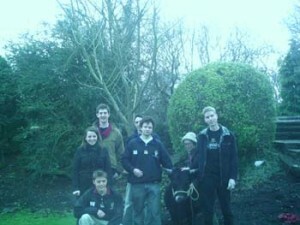 Lots of older, poorer quality, fleeces suitable for garden mulching and lining hanging baskets. 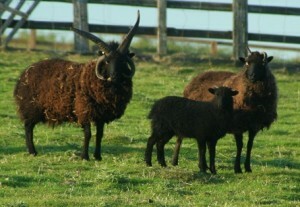 Zanfara Manx Loaghtan and Hebridean wethers joined the Flexigraze conservation scheme in 2009, grazing on Lindisfarne. 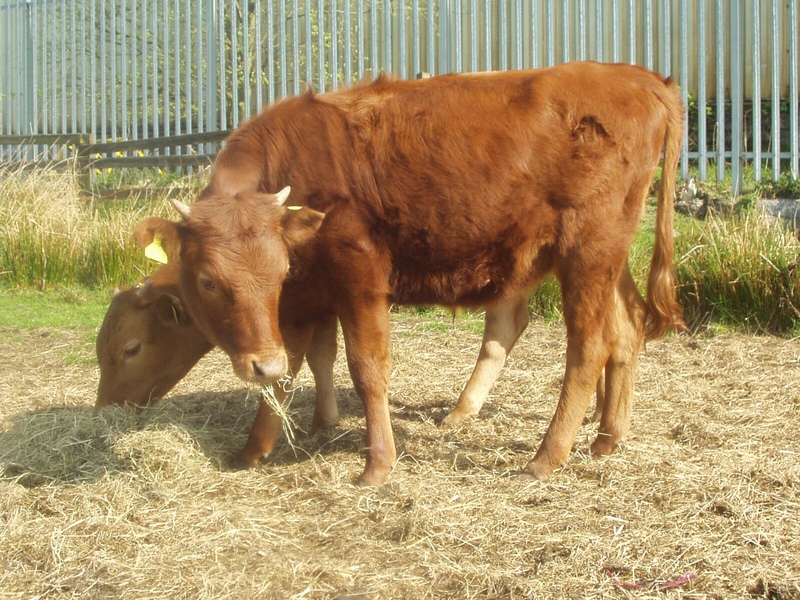 Meat from a few of these special, slow-grown, wethers is now available from Flexigraze. This breed is another of the Northern Short Tailed group, but with a black or charcoal grey fleece. 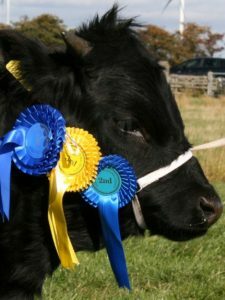 The Zanfara flock was started to retain the four horn and polled characters in the breed. 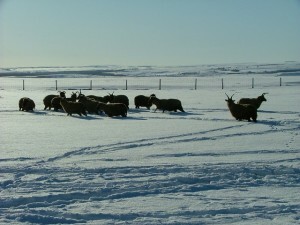 Normally only six ewes are kept, with a further six in the associated Aardskaap flock. 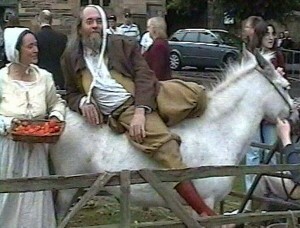 As a result of the continuing licencing for the short term movement of cattle and sheep, Rent a Peasant can offer the Mule together with Poultry as an optional live animal attraction. From March to October, chicks are hatched in the incubator on a monthly basis, so we usually have some small chicks with cute factor in a basket and growing chicks keen to explore the world of free range. Our own free range eggs and a bird to pluck complete the cycle of the poultry yard. 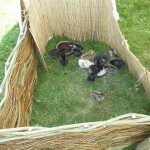 Baby chicks are suitable for indoor venues not feasible for larger stock. 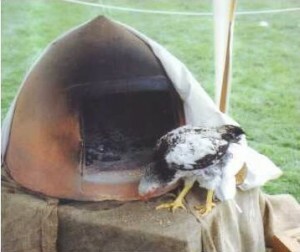 Some of our hens on free range at a Medieval event in Berwick on Tweed, investigating the contents of the leather jack.